Aussie Scientist Dr. David Evans: New solar theory predicts imminent global cooling: Dr. David Evans: As we head to the UNFCCC meeting in Paris 2015 where global bureaucracy beckons, a sharp cooling change appears to be developing and set to hit in the next five years. Yet consortia of five-star politicians are not preparing for climate change, only for global warming. Around the world a billion dollars a day is invested in renewable energy, largely with the hope of changing the weather. Given that 20% of the world does not even have access to electricity, history books may marvel at how screwed priorities were, and how bureaucratized science cost so much more than the price of the grants. German Geologist Dr. Sebastian Lüning: UN IPCC Models A Failure, ‘Have No Chance Of Success’…Sees Possible 0.2°C Of Cooling By 2020 – His charts show that solar activity correlates well with temperature, which Lüning calls “a surprisingly good match”. He then presents the various solar cycles that the sun undergoes, going into the works of Gerard Bond, who made temperature reconstructions using layers of ice-rafted material in the North Atlantic. Lüning calls the synchronicity between solar activity and temperature found by Bond “stunning”. Climate Scientist Who Got It Right Predicts 20 More Years of Global Cooling – ‘For the next 20 years, I predict global cooling of about 3/10ths of a degree Fahrenheit, as opposed to the one-degree warming predicted by the IPCC,” said [Geologist Dr. Don Easterbrook, professor emeritus of geology at Western Washington University and author of 150 scientific journal articles and 10 books, including “Evidence Based Climate Science,” which was published in 2011. Bundle Up! German scientists predict a century of global cooling – Two German scientists, Horst-Joachin Luedecke and Carl-Otto Weiss of the European Institute for Climate and Energy, say that “two naturally occurring climate cycles will combine to lower global temperatures during the next century.” They added, “by the year 2100, temperatures on this planet will plunge to levels seen at the end of the ‘Little Ice Age’ in 1870.” These researchers used historical data detailing temperatures as well as cave stalagmites to show a recurring 200-year solar cycle called the DeVries Cycle. CERN scientist Jasper Kirkby says another Maunder Minimum in solar activity could occur by 2015 – Jasper Kirkby, head of the CLOUD Experiment at CERN in Geneva notes in the video lecture below that if one extrapolates the current lull in solar activity, an extended period of no sunspots similar to the Maunder Minimum could occur by 2015. The Maunder Minimum was responsible for the Little Ice Age and lasted for 70 years. Russian Academy of Sciences: Global warming over in Central Asia – Current Temps Not ‘Unique’; Cooler era ahead – Global warming is over in Central Asia, and a new cooler period is ahead, according to Russian Academy of Sciences scientist Andrei Daryin – ‘Whenever we look a thousand years back, it appears that the situation is not that unique. A temperature rise comparable with today’s parameters already happened 1,000 years ago,’ he said. In fact, climate change cycles correlate with solar activity, the expert continued. Japanese researcher predicts cooler climate in Northern Hemisphere from 2015 – ‘A Japanese scientist who analyzed ocean temperatures stretching back more than five decades has predicted that the climate in the Northern Hemisphere may enter a cooling period around 2015. Mototaka Nakamura, a senior scientist at the Japan Agency for Marine-Earth Science and Technology, analyzed surface temperatures of the Greenland Sea from 1957 to the present and how they affect climate change. He said Greenland Sea temperatures could serve as a leading indicator of cooling and warming cycles in North Atlantic waters, which are believed to alternate on about 70-year cycles. Many scientists in recent years have noted the recent global cooling and predicted many years to decades to centuries of more global cooling. Below is a sampling of scientists and studies on global cooling. UW-Milwaukee Professor’s Peer-Reviewed Study Predicts 50 Years of Global Cooling – January 2010: ‘A University of Wisconsin-Milwaukee professor is making headlines for his work suggesting the world is entering a period of global cooling. “Now we’re getting a break,” Anastasios Tsonis, Distinguished Professor of Mathematics at UWM, said in an interview with the MacIver Institute. Tsonis published a paper last March that found the world goes through periods of warming and cooling that tend to last thirty years. He says we are now in a period of cooling that could last up to fifty years. Global COOLING Continues: 2008 So Far Coolest For at Least 5 Years Says World Meteorological Organization – ‘First half of 2008 the coolest since 2000’ — Excerpt: – The first half of 2008 was the coolest for at least five years, the World Meteorological Organization (WMO) said on Wednesday. The whole year will almost certainly be cooler than recent years, although temperatures remain above the historical average. […] The global mean temperature to end-July was 0.28 degrees Celsius above the 1961-1990 average, the UK-based MetOffice Hadley Centre for climate change research said on Wednesday. That would make the first half of 2008 the coolest since 2000. […] Chillier weather this year is partly because of a global weather pattern called La Nina that follows a periodic warming effect called El Nino. “We can expect with high probability this year will be cooler than the previous five years,” said Omar Baddour, responsible for climate data and monitoring at the WMO. “Definitely the La Nina should have had an effect, how much we cannot say.” “Up to July 2008, this year has been cooler than the previous five years at least. It still looks like it’s warmer than average,” added Baddour. ‘This is going to be catastrophic’ – Brrr! Farmers’ Almanac says cold winter ahead – Associated Press – August 20, 2008 — Excerpt: Households worried about the high cost of keeping warm this winter will draw little comfort from the Farmers’ Almanac, which predicts below-average temperatures for most of the U.S. “Numb’s the word,” says the 192-year-old publication, which claims an accuracy rate of 80 to 85 percent for its forecasts that are prepared two years in advance. The almanac’s 2009 edition, which goes on sale Tuesday, says at least two-thirds of the country can expect colder than average temperatures, with only the Far West and Southeast in line for near-normal readings. “This is going to be catastrophic for millions of people,” said almanac editor Peter Geiger, noting that the frigid forecast combined with high prices for heating fuel is sure to compound problems households will face in keeping warm. The almanac predicts above-normal snowfall for the Great Lakes and Midwest, especially during January and February, and above-normal precipitation for the Southwest in December and for the Southeast in January and February. The Northeast and Mid-Atlantic regions should be getting an unusually wet or snowy February, the almanac said. The forecasts, which are spelled out in three- and four-day periods for each region, are prepared by the almanac’s reclusive prognosticator Caleb Weatherbee, who uses a secret formula based on sunspots, the position of the planets and the tidal action of the moon. ‘Global warming of the past 30 years is over’ – July 20, 2008 – By Geologist Dr. Don J. Easterbrook, Emeritus Professor at Western Washington University, who has authored eight books and 150 journal publications. – Excerpt: Addressing the Washington Policymakers in Seattle, WA, Dr. Don Easterbrook said that shifting of the Pacific Decadal Oscillation (PDO) from its warm mode to its cool mode virtually assures global cooling for the next 25-30 years and means that the global warming of the past 30 years is over. The announcement by NASA that the (PDO) had shifted from its warm mode to its cool mode (Fig. 1) is right on schedule as predicted by past climate and PDO changes (Easterbrook, 2001, 2006, 2007) and is not an oddity superimposed upon and masking the predicted severe warming by the IPCC. This has significant implications for the future and indicates that the IPCC climate models were wrong in their prediction of global temperatures soaring 1°F per decade for the rest of the century. Meteorologist David Dilley of Global Weather Oscillations and author of “Global Warming—Global Cooling, Natural Cause Found.” – August 25, 2008 — More Global COOLING Predictions: Meteorologist predicts ‘global climate will become similar to the colder temperatures experienced during the 1800s’ – Excerpt: Global temperatures have cooled during the past 12 months. During 2008 and 2009 the first stage of global cooling will cool the world’s temperatures to those observed during the years from the 1940s through the 1970s. By the year 2023 global climate will become similar to the colder temperatures experienced during the 1800s. NY Times Cites Possible Coming Little Ice Age! – Dot Earth Blog – October 3, 2008 — Expert: Some wonder if this could be the start of an extended period of solar indolence that would more than offset the warming effect of human-made carbon dioxide emissions. From the middle of the 17th century to the early 18th, a period known as the Maunder Minimum, sunspots were extremely rare, and the reduced activity coincided with lower temperatures in what is known as the Little Ice Age. NEW JASON SATELLITE INDICATES 23-YEAR GLOBAL COOLING – Canada Free Press, 1 May 2008 – By Dennis Avery, Environmental Economist and Global Warming Co-author — Excerpt: Now it’s not just the sunspots that predict a 23-year global cooling. The new Jason oceanographic satellite shows that 2007 was a “cool” La Nina year-but Jason also says something more important is at work: The much larger and more persistent Pacific Decadal Oscillation (PDO) has turned into its cool phase, telling us to expect moderately lower global temperatures until 2030 or so. […]All of this defies the “consensus” that human-emitted carbon dioxide has been responsible for our global warming. But the evidence for man-made warming has never been as strong as its Green advocates maintained. The earth’s warming from 1915 to 1940 was just about as strong as the “scary” 1975 to 1998 warming in both scope and duration-and occurred too early to be blamed on human-emitted CO2. The cooling from 1940 to 1975 defied the Greenhouse Theory, occurring during the first big surge of man-made greenhouse emissions. Most recently, the climate has stubbornly refused to warm since 1998, even though human CO2 emissions have continued to rise strongly. 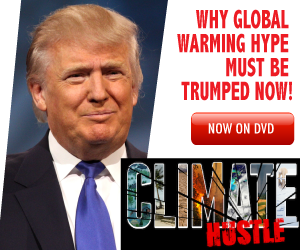 […] How many years of declining world temperature would it take now – in the wake of the ten-year nonwarming since 1998 – to break up Al Gore’s “climate change consensus”? NASA reveals ‘sun’s solar wind is at a 50-year low’ — could result in solar system changes (NASA press release) – September 22, 2008 – Excerpt: NASA will hold a media teleconference Tuesday, Sept. 23, at 12:30 p.m. EDT, to discuss data from the joint NASA and European Space Agency Ulysses mission that reveals the sun’s solar wind is at a 50-year low. The sun’s current state could result in changing conditions in the solar system. Ulysses was the first mission to survey the space environment above and below the poles of the sun. The reams of data Ulysses returned have changed forever the way scientists view our star and its effects. The venerable spacecraft has lasted more than 17 years – almost four times its expected mission lifetime. We should prepare now for dangerous global cooling (By Paleoclimatologist Tim Patterson, professor in the department of Earth Sciences at Carleton University in Ottawa) — Excerpt: Solar scientists predict that, by 2020, the sun will be starting into its weakest Schwabe solar cycle of the past two centuries, likely leading to unusually cool conditions on Earth. Beginning to plan for adaptation to such a cool period, one which may continue well beyond one 11-year cycle, as did the Little Ice Age, should be a priority for governments. It is global cooling, not warming, that is the major climate threat to the world, especially Canada. As a country at the northern limit to agriculture in the world, it would take very little cooling to destroy much of our food crops, while a warming would only require that we adopt farming techniques practiced to the south of us. Solar Cycle 24: Implications for the United States – March 2, 2008 (By Geologist David Archibald of Summa Development Limited in Australia is a Perth-based scientist working in the field of climate research. Archibald .wrote a scientific paper titled “Solar Cycles 24 and 25 and Predicted Climate Response” in Energy and Environment in 2006) Excerpt: I will demonstrate that the Sun drives climate, and use that demonstrated relationship to predict the Earth’s climate to 2030. It is a prediction that differs from most in the public domain. It is a prediction of imminent cooling. […] We have 29 years of satellite temperature data. It shows that the temperature of the Southern Hemisphere has been flat, with a slight increase in the Northern Hemisphere. Note the El Nino peak in 1998. Globally, we have had 10 years of temperature decline since that peak in 1998, with a rate of decline of 0.06 degrees per annum. I am expecting the rate of decline to accelerate to 0.2 degrees per annum from the end of this decade. That satellite record is corroborated by the record of Antarctic and Arctic sea ice extent over the same period. There is no long term trend evident. Most recently, there has been a 1 million square kilometre increase over the long term mean. This is a five per cent increase. […] The peak US temperature was in 1936, at much the same time that Total Solar Irradiance peaked. If you have wondered why US temperatures are still lower than what they were 70 years ago, the fact that Total Solar Irradiance is lower than what it was 70 years ago might provide an explanation. Geologist David Archibald reveals CO2 is ‘tuckered out as a greenhouse gas’ – May 12, 2008 — Excerpt: The more carbon dioxide you put into the atmosphere, the more you are helping all plants on the planet to grow, and of course that makes you a better person. Virtue is in direct proportion to your carbon dioxide output. What of the temperature, you ask? Carbon dioxide is a greenhouse gas, but the effect is strongly logarithmic. The first 20 ppm achieves 1.5 degrees of heating, but it takes more than another 400 ppm to equal that. By the time we get to the current level of 384 ppm, carbon dioxide is tuckered out as a greenhouse gas. From here, every 100 ppm extra may be worth 0.1 of a degree. […] Surely a few more years of cooling will leave only the true believers in their misanthropic ideology, and the truly idiotic. […] Not only will it continue, substantial cooling next decade is in the bag based on current solar behavior. There is a good correlation between solar cycle length and the temperature over the following solar cycle. Long solar cycles cause lower temperatures. Is there a cold future just lying in wait for us? – August 13, 2008 – Belfast Telegraph — Excerpt: Based on the past Armagh measurements, this suggests that over the next two decades, global temperatures may fall by about 2 degrees C — that is, to a level lower than any we have seen in the last 100 years. Of course, nothing in science is certain. Perhaps (though I doubt it) Armagh’s old measurements are wrong or perhaps there are now other factors, such as CO2 emissions, which may change things somewhat. However, temperatures have already fallen by about 0.5 degrees C over the past 12 months and, if this is only the start of it, it would be a serious concern. A cold spell soon to replace global warming (Dr. Oleg Sorokhtin, Merited Scientist of Russia and fellow of the Russian Academy of Natural Sciences, is staff researcher of the Oceanology Institute.) – Excerpt: Stock up on fur coats and felt boots! This is my paradoxical advice to the warm world. Earth is now at the peak of one of its passing warm spells. It started in the 17th century when there was no industrial influence on the climate to speak of and no such thing as the hothouse effect. 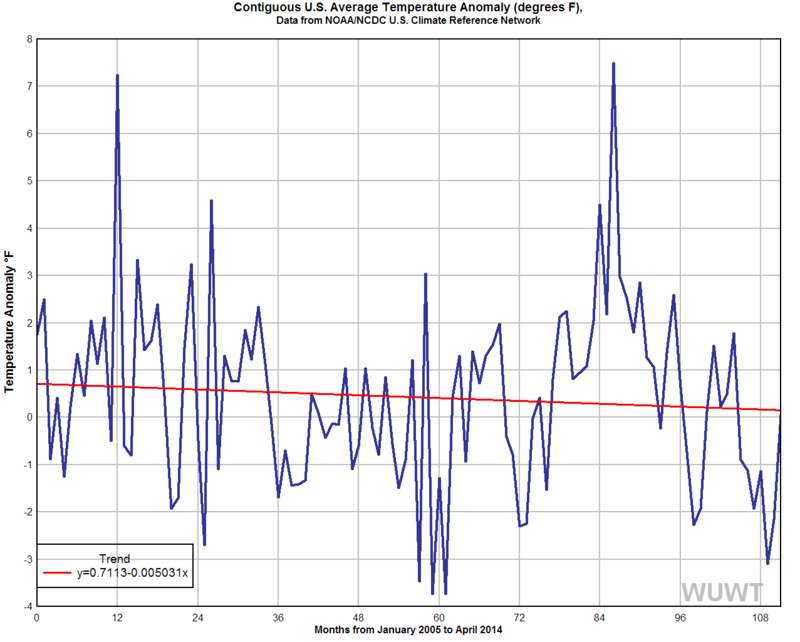 The current warming is evidently a natural process and utterly independent of hothouse gases. […] Carbon dioxide is not to blame for global climate change. Solar activity is many times more powerful than the energy produced by the whole of humankind. Man’s influence on nature is a drop in the ocean. Global Cooling is Imminent! (By Meteorologist Jim Clark of Florida’s WZVN-TV ABC 7) – Excerpt: It was about this time (1990’s) that Dr. Bill Gray, the famed hurricane climatologist, began speaking out against the global warming crisis at the National Hurricane Conferences. He didn’t just stop at criticizing the scary climate models, but went so far as to predict GLOBAL COOLING in the first have of the 21st Century. Now, nearly 15 years later, it looks like Dr. Gray may be right! The planet has not warmed over the last decade and climate factors seem to be lining up for a global cool down, despite the ever increasing concentration of atmospheric CO2. The approaching ‘cold snap’ is not a global crisis, but when it is all said and done, we will likely have a better appreciation for the relative warmth we have enjoyed recently.